Found one file extension association related to Velocitek Control Center and 1 file format developed specifically for use with Velocitek Control Center. 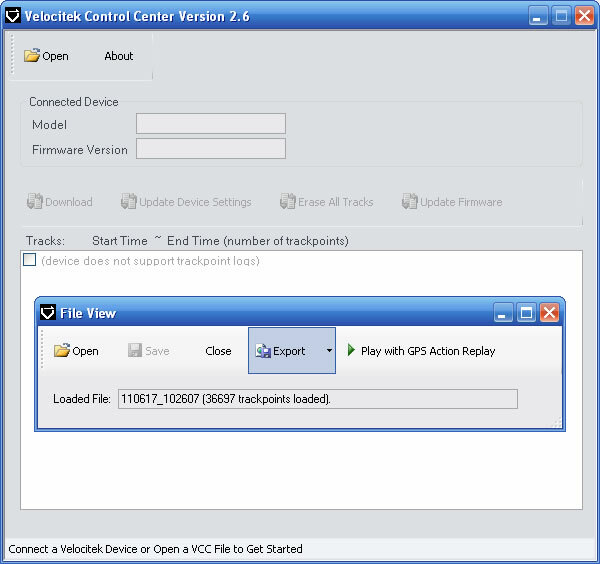 Download GPS data from your Velocitek device and launch single-boat replays using GPS Action Replay. Personalize the functionality of your SpeedPuck or SC-1 by disabling functions that you don’t need or that are prohibited by your class rules. Upgrade your Velocitek device with periodically released firmware updates (Windows only). If you need more information please contact the developers of Velocitek Control Center (Velocitek), or check out their product website.